One of six northern Tewa speaking Indian tribes, the Pojoaque Pueblo population dates back as early as 500 AD. 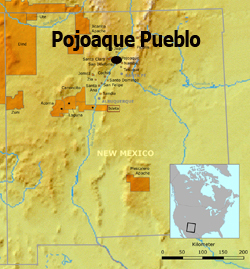 History of the Reservation: As a result of the Pueblo Revolt, the Pojoaque Pueblo became scattered amongst the neighboring tribes. In 1706, they were then resettled by 5 families, and reached a population of 79 by 1712. In the 1800s, a smallpox epidemic broke out, water sources were scarce, and there was no arable land available to them for agriculture purposes. What was left of them again migrated to neighboring tribes. In 1934, the Commissioner of Indian Affairs issued for all Tribal members to return to the area. 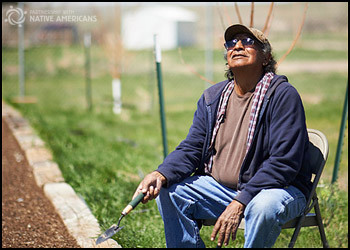 Under the Indian Re-organization Act, they were awarded land grants in the Pueblo land base. 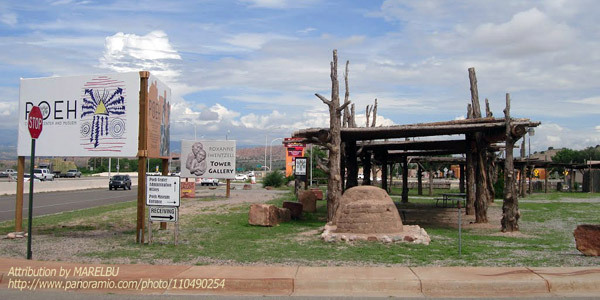 In 1936 the Pojoque Pueblo became a federally recognized Tribal Reservation. Today, the median income for a household is $15,875, and the median income for a family is $24,719. Males have a median income of $19,830 versus $17,105 for females. About 17.2% of families and 18.7% of the population are below the poverty line.